It is easy to look at Lake Geneva (Lacus Lemannus in Roman times) as little more than a pleasant extension of Geneva or Lausanne. Taken as a whole, however, the lake constitutes a feast in itself, an elegant, amazingly diverse buffet of possibilities with jewel-like villages, stunning vistas, proud and complex heritages and cultural delights. Its international importance dates back to the time of Julius Caesar, when it served as an important frontier and crucial commercial transit point from Rome to ancient Gaul and Britain. Most visitors begin exploring this 73km-long lake in Geneva, but we begin our tour in Martigny, 35km south of where the Rhône estuary flows into the lake’s northeastern end. Much of the region has red-marked SwitzerlandMobility (www.veloland.ch) signs for safe cycling for those who wish to tour by bike. The French side has some “voies vertes”, or cycle routes, but the lack of marked lanes along some of the roads means they can be risky. And if it’s hot, you can also swim in the lake – which is clean, with at least 28 species of fish plus exceptional birdlife and numerous small nature reserves. Virtually every town, village or port has its own public beach. 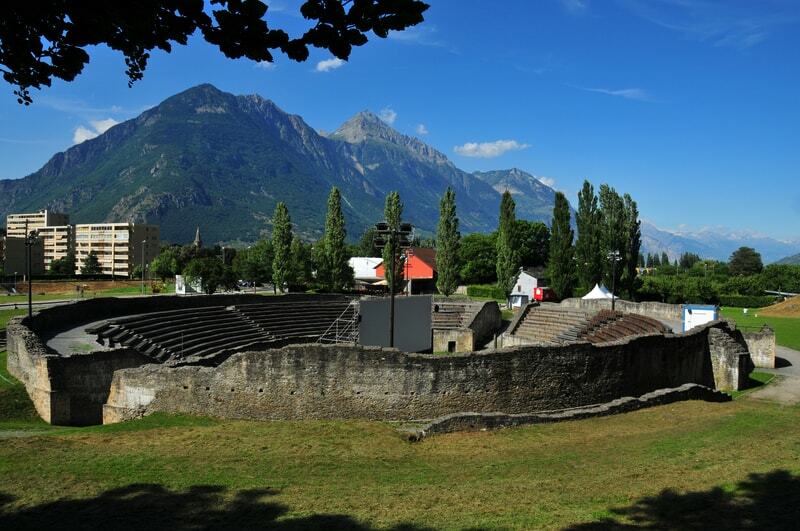 Flanked by dramatic mountain peaks, the Rhône Valley with its small industrial towns, fruit orchards and vineyards has lent Martigny a strategic and commercial importance since Roman times. A medieval fortress, the Bâtiaz, still overlooks the city, and offers an impressive array of ancient siege machines, including wooden catapults dating back to the 12th century. Martigny’s most notable current attraction, however, is an exhibition of more than 100 Renoir masterpieces, many from previously inaccessible private collections, at the Fondation Pierre Gianadda. This world famous institution was created by Léonard Gianadda in honour of his brother, Pierre, who was killed in a plane crash while returning from an expedition in Egypt. Originally, Léonard Gianadda had been engaged in real-estate development in Martigny, when excavators uncovered an extensive complex of Roman ruins. 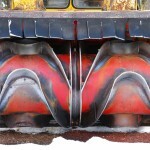 (See Edward Girardet’s piece on Roman Switzerland.) 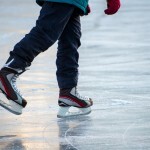 Gianadda decided to shift his efforts to the foundation in his brother’s memory. The effort earned him a place of honour in France’s prestigious Académie française. Not to be missed is the garden behind the museum, which offers a leisurely lunch or picnic amidst a priceless collection of modern sculpture by Constantin Brâncuşi, Henry Moore, François-Xavier Lalanne, Niki de Saint Phalle and others. Nearby, you can visit Gianadda’s dazzling collection of vintage automobiles, with dozens of eccentric prototypes of 19th- and early 20th-century horseless carriages. Heading from Martigny to the lake at Montreux, you will spot a tiny island with a single tree. This was offered as a gift to Queen Elizabeth II, but the British monarch returned it when she realized that the Swiss expected her to pay taxes. 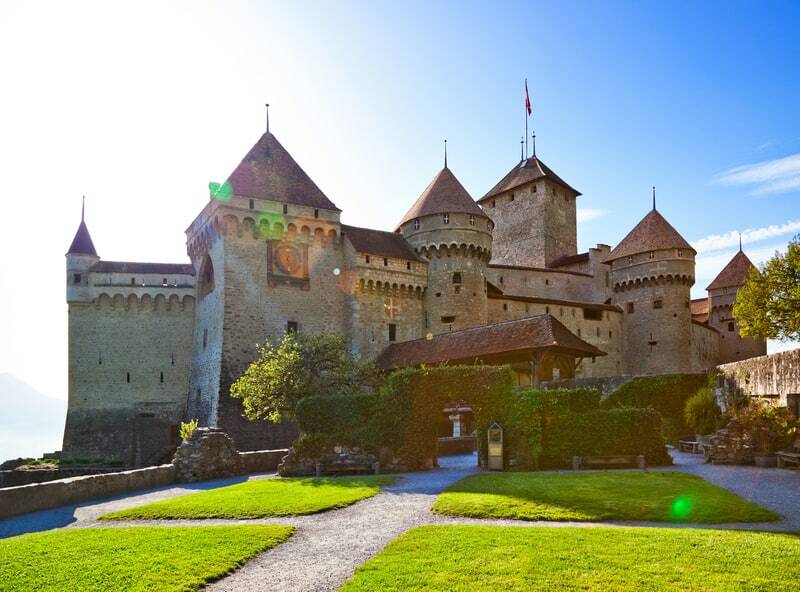 Continue on a bit, and you come to the Château de Chillon, the medieval stronghold of the Dukes of Savoy. The castle is worth visiting, to see not only its amazingly intact fortifications, but also its collection of early manuscripts, some of the first financial records of trade on the lake. The castle’s other intriguing feature is its dungeon, made famous by Lord Byron’s poem The Prisoner of Chillon. The disputes between Protestants and Catholics that divided Switzerland’s cantons were largely over power, and the House of Savoy, one of Europe’s oldest noble families, used its connections to the Holy Roman Empire and the Catholic Church to secure political control. François Bonivard, who inspired Byron’s poem and campaigned fiercely for Swiss independence, was imprisoned in the château for six years until the Berneseliberated him. Byron’s signature is carved into the stone walls of the dungeon. Over the summer, Montreux’s main focus is music. The world famous Montreux Jazz Festival occupies the city for most of July. 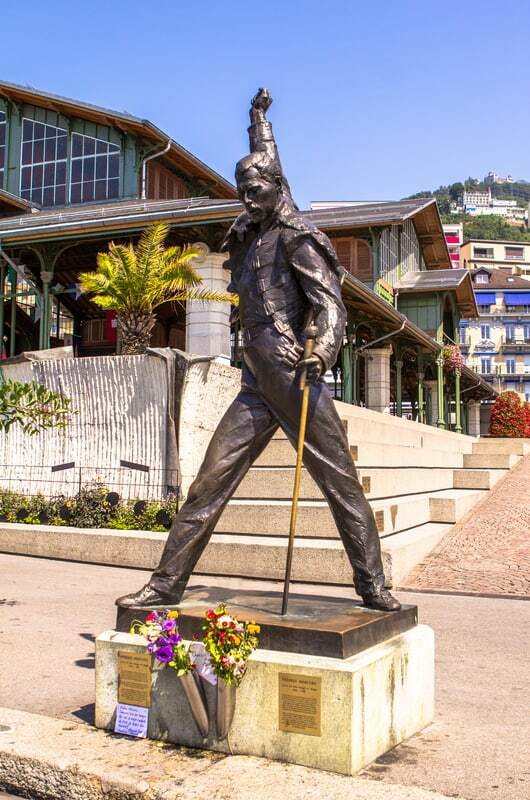 Freddie Mercury, former lead singer of the group Queen, was so swept away by Montreux’s calm and loveliness that he created his Mountain Recording Studio here. Mercury’s statue overlooks Montreux’s famous lakefront promenade. But even before Queen and other groups such as Deep Purple and the Rolling Stones discovered Montreux, the city, with its unique microclimate and grand hotels, had gained a reputation as a convenient substitute for the French Riviera. Moving along either the lake road or the winding Route de Vignobles, you come to sun-drenched Lavaux, which produces some of Switzerland’s finest wines. The terraced vineyards, painstakingly carved into the steep mountain slopes in the Middle Ages, are now a UNESCO World heritage Site. Roughly 70% of the area’s wine is from white Chasselas grapes, well known for their extreme sensitivity to soil, climate, and the winemaking process that completes them. Dry but fruity and full-bodied, Chasselas wines offer an extraordinary range of nuance and flavour. Since the quantities produced are too small for export, true appreciation depends on experimentation and exploration. 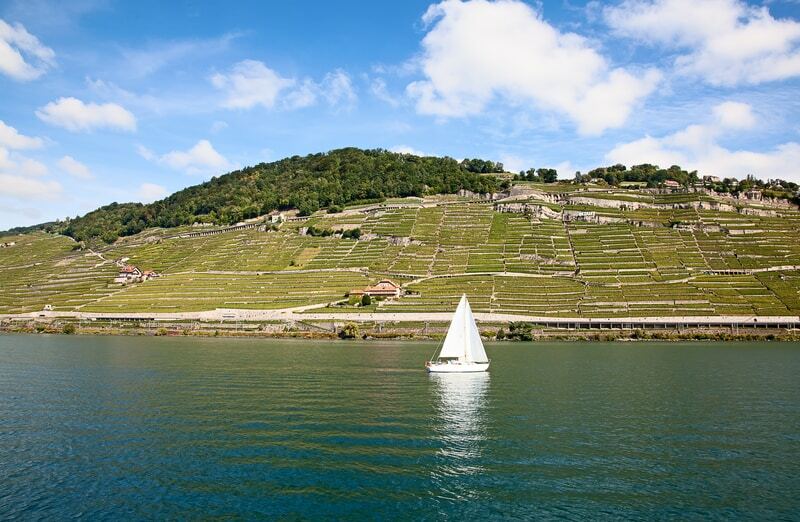 Starting at CHF 15, you can book a guided tour and visit the vineyards and wine growers in person. If you have small children, the Lavaux Express, a small tourist train on rubber wheels, leaves from the villages of Lutry and Cully, and costs CHF 15 for adults and CHF 6 for children. 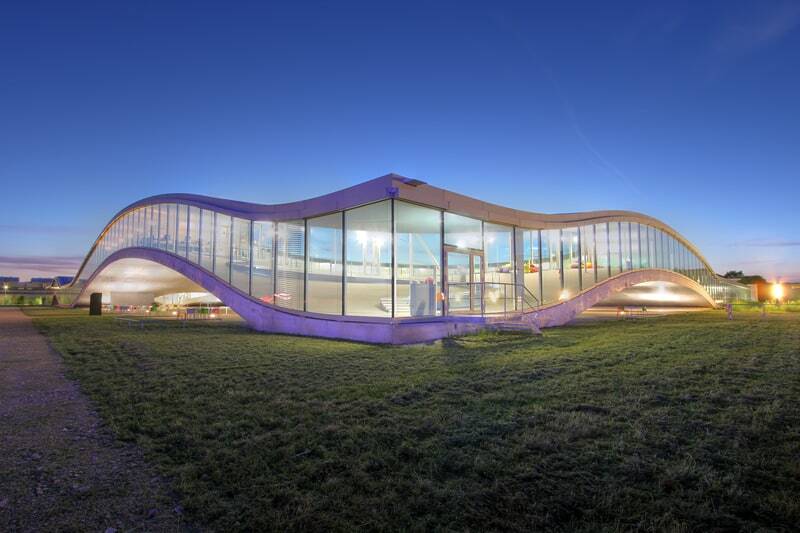 For a no-frills tasting, visit the Vinorama in Rivaz, a modern exhibition centre with its own wine bar. 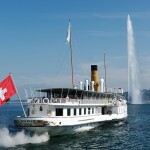 Heading west, one comes to Lausanne, often referred to as the true capital of Suisse Romande. 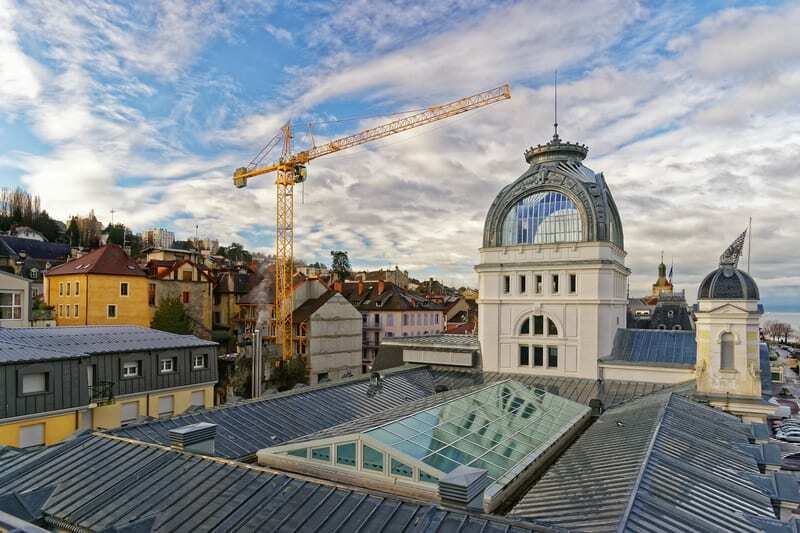 A bustling cultural centre with a youthful and relaxed ambience, Lausanne has invested heavily in higher education. EPFL, the Swiss Federal Technical Institute, rates among the top three schools of its kind in Europe and is frequently compared with MIT. The main building, designed by Japanese architects Kazuyo Sejima and Ryue Nishizawa, won the Pritzker Prize – architecture’s most prestigious award – in 2010. From Lausanne, it is a mere 45-minute drive to Geneva, passing through extremely scenic lake towns such as Morges, Rolle and Nyon. Again, whether by car or by bike, you can take the lake road or meander through the countryside and small villages along the Route de Vignobles. A surprisingly accessible city in contemporary urban terms, Geneva remains one of the world’s most important financial centers with the cachet of a major international capital. Julius Caesar destroyed the bridges across the Rhône here to keep the Helvetics, who now refer to themselves as Swiss, from crossing into ancient Gaul, currently France. In one of those eternal ironies, Swiss nationalists now campaign against non-Swiss frontaliers moving in the opposite direction. Geneva is nonetheless host to the United Nations and CERN, the world’s most advanced centre for research in high-energy physics. It is also home to the European headquarters of more than 40 leading multinationals. It will soon open a global research centre into the human brain. The city may look low-key and relaxed, but what happens here is often intense and of crucial planetary importance. Rounding the lake and heading back east, one passes through Cologny, where the World Economic Forum (famous for its annual gatherings of the planet’s financial and political elite at Davos), has its headquarters. 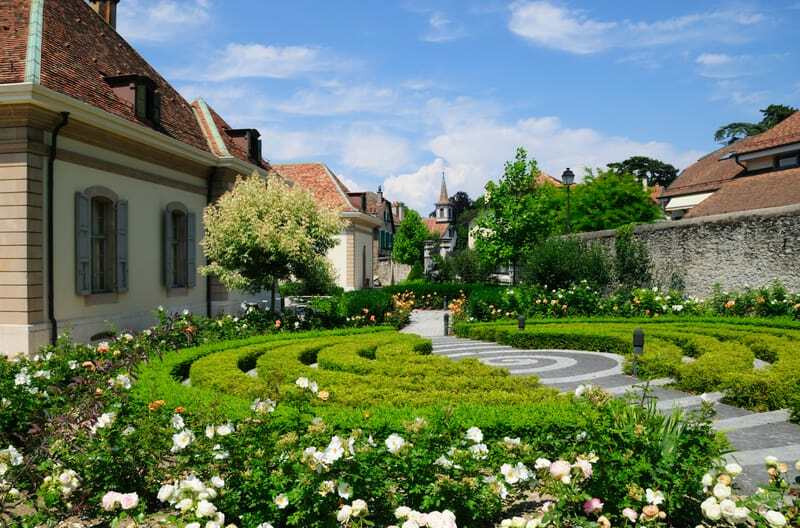 It is also where you find the Fondation Bodmer, the repository for one of the world’s finest collections of antique manuscripts, including an original edition of the Gutenberg Bible and the quartos of Shakespeare. The building is a modern masterpiece, designed by the Swiss architect Mario Botta. Passing into France while continuing up the lake, you arrive at the medieval fishing village of Yvoire. These days, Yvoire tends to be overrun by tourists, but an equally beautiful and less crowded ancient village, Nernier, a kilometer to the south, can prove a delightful place for a leisurely lunch. 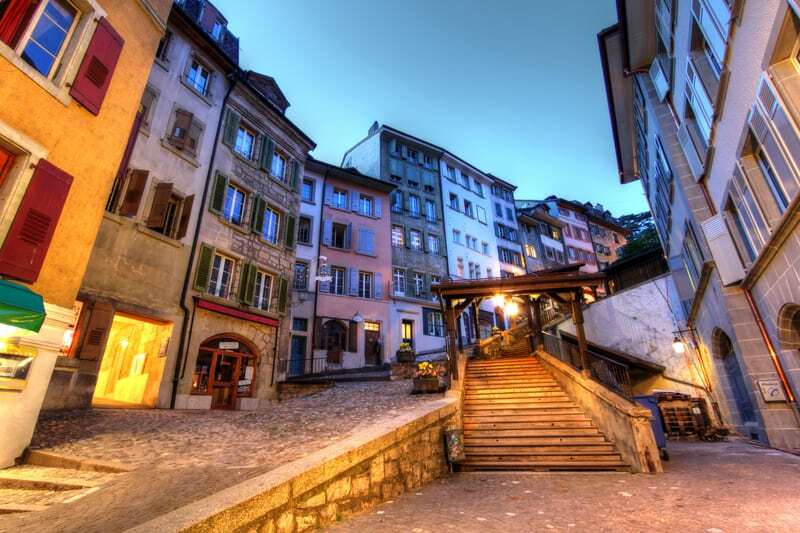 Further along the lake is the French town of Thonon-les-Bains, a bustlingly charming fishing and yachting port, and just beyond is the spa town of Evian. A world famous spa during the early 20th century, this is where France signed the accords ending the Algerian War. It is remembered more today for the pink-labeled bottles of Evian mineral water that circle the world from New York to Beijing. In the final analysis, appearances can be deceiving. It’s possible to drive – or even cycle – around the lake in a single day, but unlocking the essence of over 2,000 years of vibrant history and culture… that can take a lifetime.